The Shark Suckers Recipe is brought to you by Just Plum Crazy. 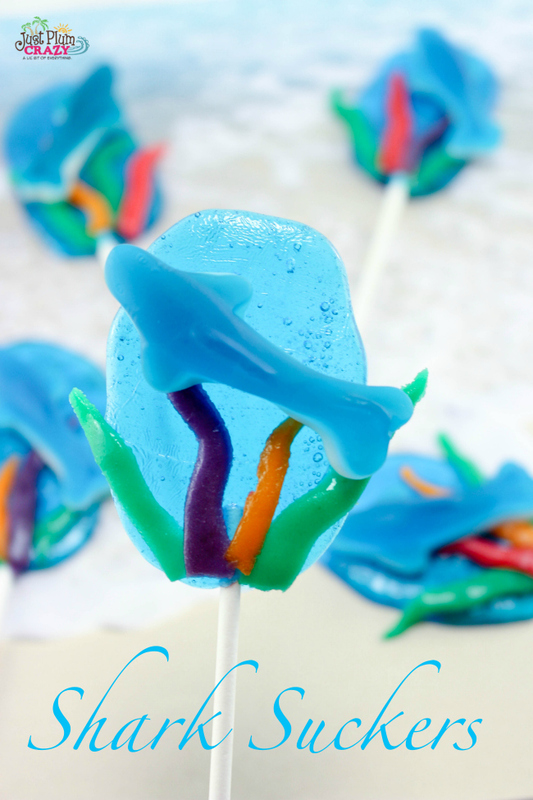 Shark Week is here and we have our Jolly Rancher Shark Suckers recipe to share with you. I know no one likes to think about sharks especially when they’re out swimming in the ocean, but these sharks won’t hurt you one bit. 2. 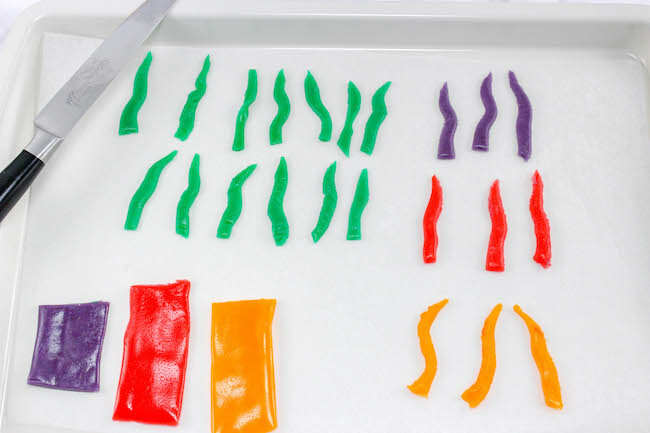 Unwrap the Airhead candy and cut thin pieces, about 2 inches long to resemble sea weed. 4. 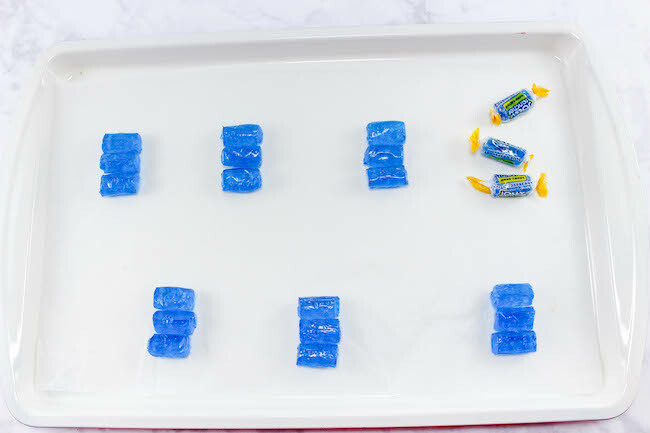 Place the Jolly Rancher candies in the oven for about 4-5 minutes. 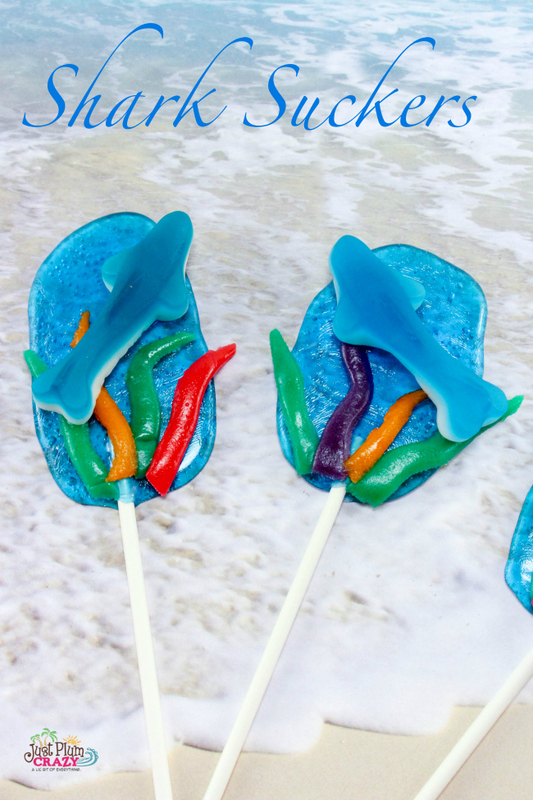 Make sure to keep a close eye on them because you want to take them out just after they melt together. 5. 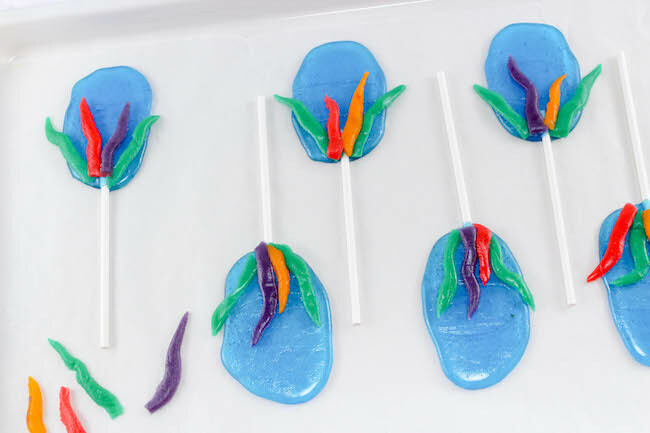 Remove them from the oven and place a sucker stick on each one. 6. 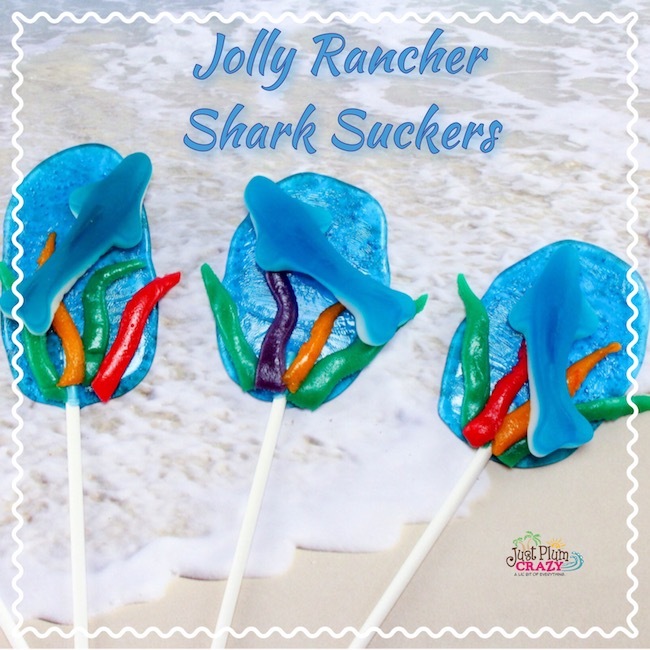 Let them set up for a few minutes until they aren’t hot but still tacky, then put 3-4 pieces of the sea weed and a shark on each one. 7. Let them finish cooling. 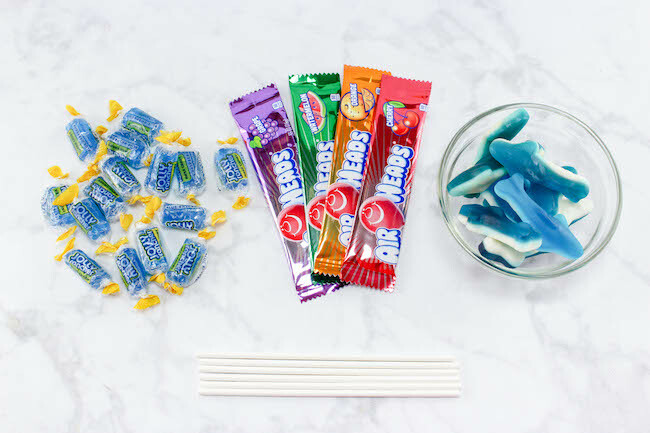 Unwrap the Airhead candy and cut thin pieces, about 2 inches long to resemble sea weed. 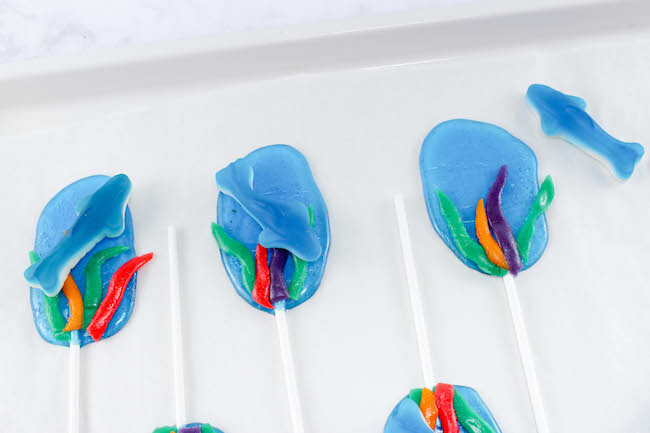 Place the Jolly Rancher candies in the oven for about 4-5 minutes. 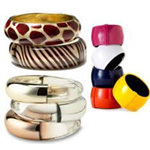 Make sure to keep a close eye on them because you want to take them out just after they melt together. 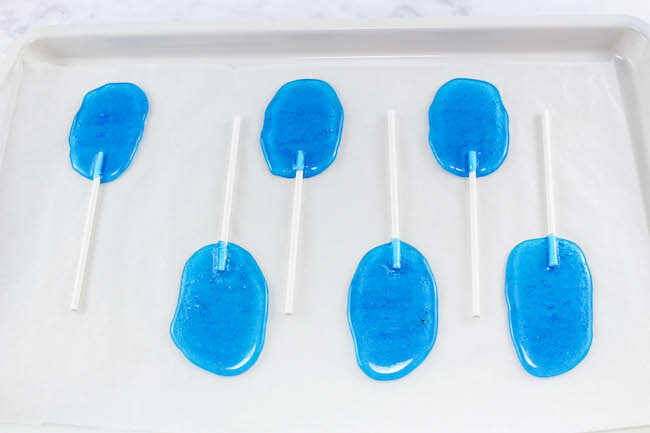 Remove them from the oven and place a sucker stick on each one. 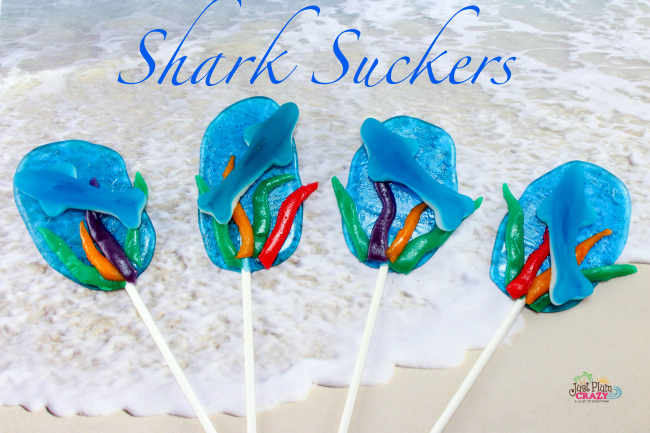 Let them set up for a few minutes until they aren’t hot but still tacky, then put 3-4 pieces of the sea weed and a shark on each one.